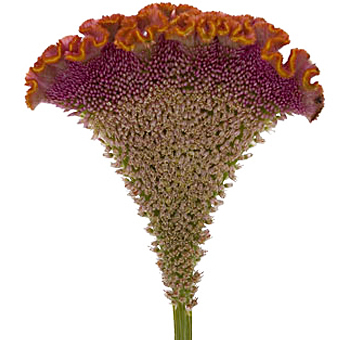 Celosia is also called Cockscomb and is a furry, curly flower that comes in an array of dazzling colors. 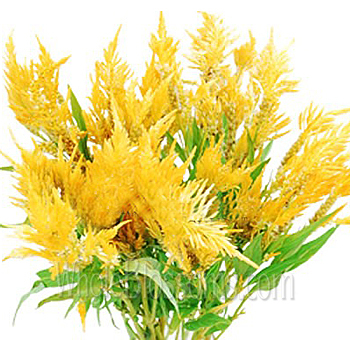 It is popular for bouquets and centerpieces. They sort of resemble convoluted brains from the top and are shaped like round fans, pretty bizarre looking and an eye-catcher! Check out the vibrant colors we have available for weddings. They are available from April to December. You may also want to purchase them in assorted colors, just specify when placing your order. 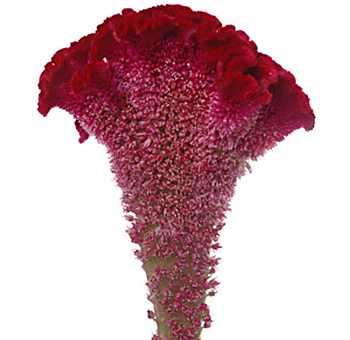 The celosia flower is one of a kind with its amazing colors ranging from red to purple. They are referred by many other names like a cockscomb, wool flower, and Red Sox. The beauty of this plant is that collectively they resemble fire and that's how they got the name celosia which in Greek refers to burning. These beautiful plants grow upwards with their flowers often being sturdy. 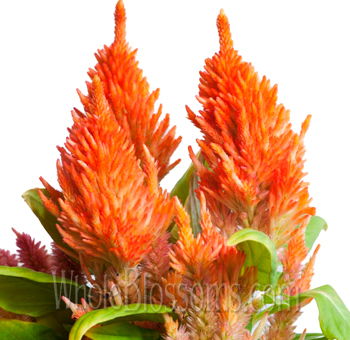 There are three types of celosia flowers, and they are plum, crests, and spikes. The three are easily distinguishable from each other. A small genus of edible as well as ornamental flowers, the celosia is part of the amaranth family. These species are called wool flowers. Also called the cockscomb flowers the generic name comes from the Ancient Greek word which means ‘burning.' It refers to the flowers flame like heads. These Celosia flowers are trendy in Africa's highlands. 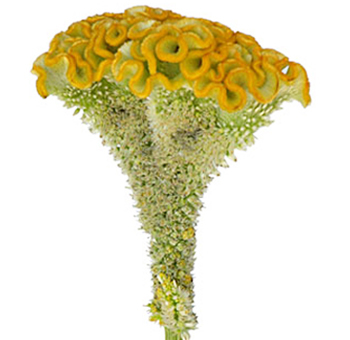 This plant is annual, and the seed production of these species may contain almost 43,000 seeds. Depending on the fertility of the soil and the variety of the bloom it can last up-till 10 weeks. However, the real beauty of this plant lies in the fact that they have a brilliant range of colors. That is very attracting and beautiful especially when they are grown at a considerable number. The red and yellow celosias end up looking like a bright fire which actually a sight to behold. The other colors that this gorgeous flower comes in are deeply saturated hues of red, pink magenta yellow-orange and sometimes even green. These flowers are native to the tropical and subtropical and had been cultivated in North America since the 18th century. In their natural habitat in Asia and Africa, they are considered as weeds. The plant is even medicinally used. And even though there is no record of it, it was believed that this plant was used in ancient China. It was used to treat intestinal worms, mouth sores, infections of the urinary tract and eye problems. They need a moist soil which is not too wet to grow correctly. They also need full sun and protein and nutrient-rich soil to bloom perfectly. 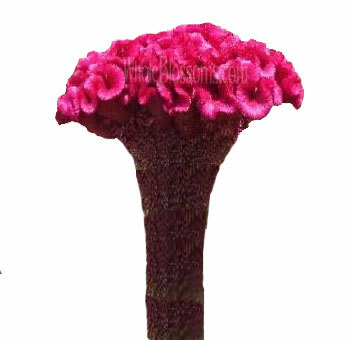 The celosia flower blooms mainly between April to October.These waxy and stiff flowers last very long, so they also make a perfect candidate for a bouquet. Their leaves are generally a light green which has a colored midrib that generally matches the bloom. These flowers have a lot of uses. Their beautiful petalled flowers are beautiful to the eye, and therefore they are very much in demand. If these flowers have caught your fancy, you're undoubtedly looking for a way to find them. But finding celosia for sale is actually very easy. Finding them online is your best bet. However, you should make sure that you're looking into the right suppliers. Whole Blossoms is a trusted source. 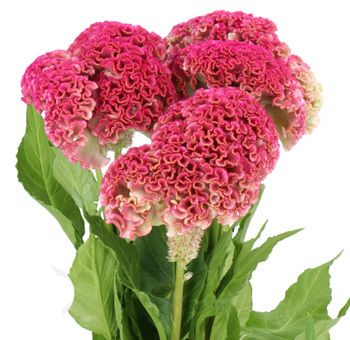 They have celosia for sale which they can deliver right at your doorstep! They are one of the most trusted flower wholesalers that guarantee fresh flowers delivered to you. 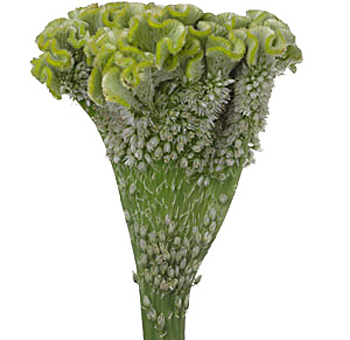 Cockscomb flowers can be used in many settings and arrangements. Especially for special events and weddings. So, if you’ve planned to use them make sure you’re ordering in bulk from whole blossoms. It will also help you stay under budget as flowers can get expensive sometimes. Flowers like celosia which are sometimes hard to come across otherwise are not always easy to find. But with just one click you can access the whole blossoms wholesalers online store. This fantastic store sells fresh flowers right at your doorstep. Whole Blossoms is a trustworthy and kind quality vendor that can cater to all your flower needs. They also have a 24/7 delivery service which is excellent for urgent events. Make use of their fresh flowers for something beautiful which you can surely create! This was you can be creative and try something unique without making it very expensive. Since the wholesalers sell it in bulk, they also deliver it to your door which is a blessing for last minute planned events or event organizers who have a lot lined up. The celosias are brilliantly colored. This fact doesn't seem to go unnoticed. It's specially cultivated for its deep saturated hues of red, orange yellow and magenta. These make amazing ornamental pieces that will delightfully surprise your guests. 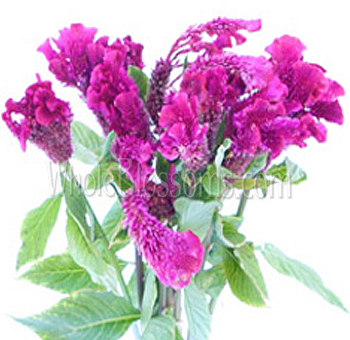 The beauty of it lies in how the celosia flower can make a set look simple by also stunning. It's a very minimalistic addition to any décor. 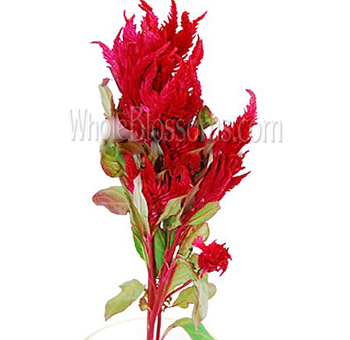 The red celosia is especially popular at weddings. When paired with other ivory flowers and roses or gerberas they make a stunning display. It doesn’t matter which type of celosia you’re choosing. The upright plum ones have a charm of their own just like the crests and spiky ones.